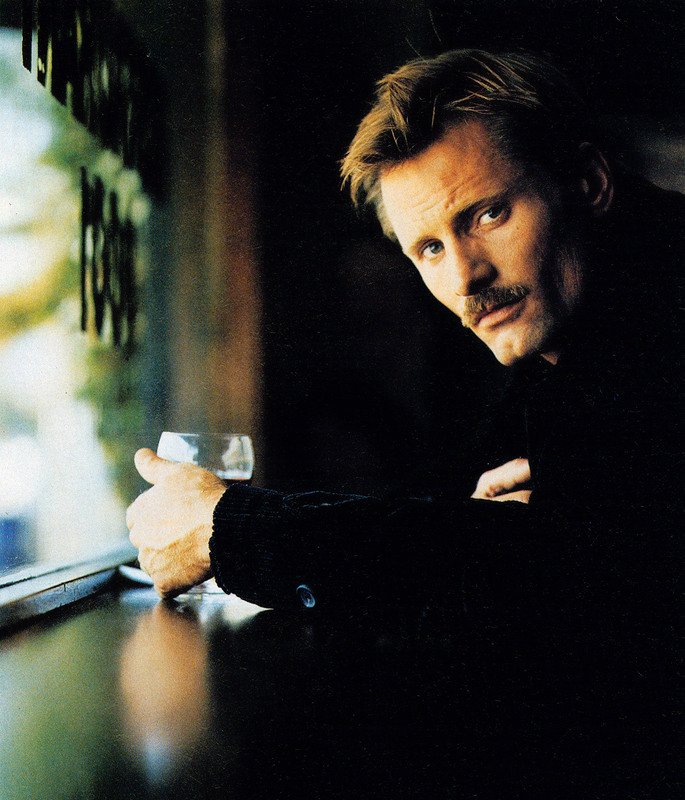 With a name that sounds like he might be a mafia numbers runner, Viggo Mortensen has played mostly mysterious, and often dangerous, since his debut as Alexander Godunov’s brother in 1985’s Witness. People who appreciate his work—and there are Mortensen aficionados in many casting offices—know him best from Sean Penn’s The Indian Runner, in which, as tattoed trouble incarnate, he was probably playing Sean Penn’s alter ego. But he’s had bit roles in everything from Young Guns II to Carlito’s Way, and he’s been likened to everyone from Kirk Douglas (must be the cleft) to James Dean (the rebel insouciance). 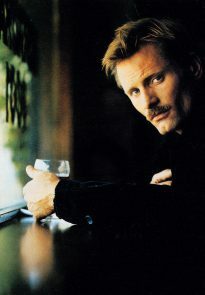 When Mortensen donned a uniform to play the weapons officer caught between Gene Hackman and Denzel Washington in Crimson Tide, his edginess found a niche in the mainstream, and now, if the buzz is right, his portrayal of Caspar Goodwood, the most steadfast of Nicole’s suitors in The Portrait of a Lady, could make him a leading man. “I said to Jane Campion one day, ‘See, I just figured out what the name Caspar Goodwood means,'” grins Mortensen. “‘Ghost of a hard-on. 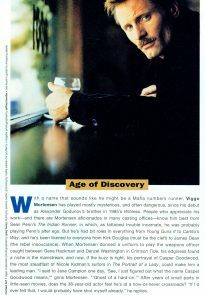 '” After years of small parts in little-seen movies, does the 38-year-old actor feel he’s at a now-or-never crossroads? “If I’d ever felt that, I would probably have shot myself already,” he replies. 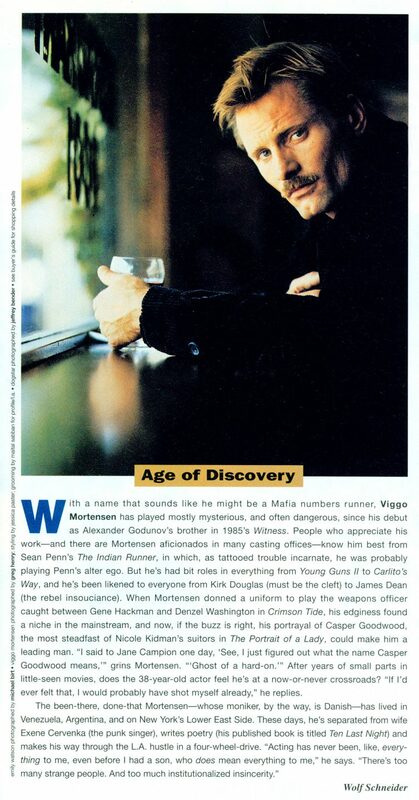 Published November 1996 in Movieline.